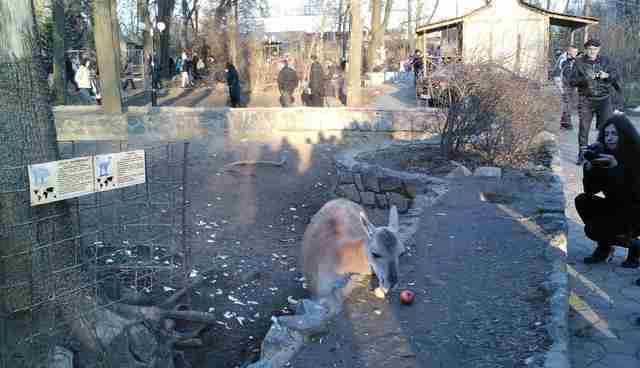 Over the weekend, an official from Kharkiv Zoo in Ukraine released a dire warning that the animals in his zoo -- elephants, tigers, lions and others -- would die, because unstable politics had cut off the facilities' funding, and they only had enough food to last til Monday. Alexey Grigoriev, the zoo's director, was said to be in tears over the situation, and pleading with the country's prime minister for help. "Our animals are not fighting for power, they do not share anyone's political views, they just want to live,' read a statement by the zoo. "Without emergency measures, our completely innocent animals will start dying next week." First, good news: THE ANIMALS ARE OKAY for now. We just got back from the zoo -- literally the entire city had brought bags and bags of food to donate: cabbage, bread, carrots, beets, greens, you name it! The zoo staff was using tractors to haul the food around. We spoke to the zoo director and she said they'd also received some cash donations. She said what really matters is what happens after this. We would like to thanks all who respond to our call for help. Yesterday, 8 March we received a lot of vegetables, fruits and other provisions, but now we have another problem how to save it. Situation is stabilized now. If you still want to help us, please visit our Zoo (without goods) or transfer money on official bank account. "What the zoo needs is a more steady stream of visitors to keep it running, keep the animals fed and healthy, and make needed updates," the woman, only identified as Katherine, told One Green Planet. "The zoo is currently very limited in how they can accept donations (via a transfer to a Belgian bank and then a second transfer to Ukraine)." The zoo is working on setting up a PayPal account to make donations easier, and is encouraging people in the area to also donate food for the animals. 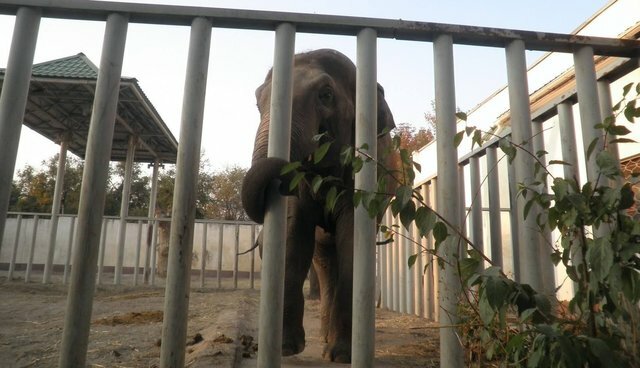 While it's not ideal to keep the animals in the zoo, they have avoided an even worse situation for now. This isn't the only zoo making headlines in the wake of the uprising in Ukraine -- in February, a private zoo was discovered inside the presidential compound of ousted leader Victor Yanukovych. 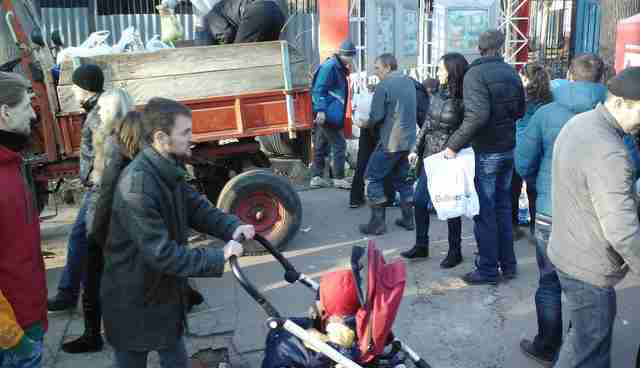 We will update this post if we find a way for people to help the animals in the Kharkiv Zoo.